Singapore CCTV: Is HIKVision A Good CCTV Brand? Due to increasing incidents of burglary and theft people have started using various surveillance solutions and products all over the world including Singapore. 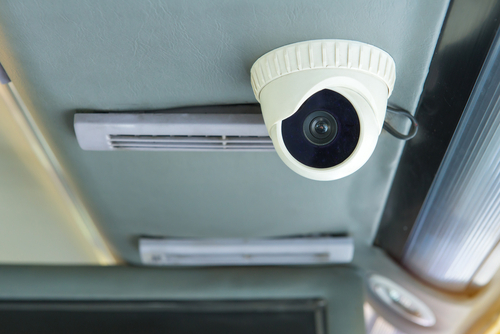 The increase in the demand of CCTV surveillance products has attracted large number of companies manufacturing electronic products in this field. Hikvision is one of the companies popular all over the world for manufacturing the products and solutions for CCTV and video surveillance. In Singapore Hikvision is considered as one of the most trusted brands in this field. Today Hikvision is considered as the leading brand that supplies surveillance solutions and products all over the world on the basis of its strong R&D. Hikvision uses the skills of its strongest R&D workforce in designing and developing video and CCTV surveillance products in its state-of-the-art manufacturing environment. 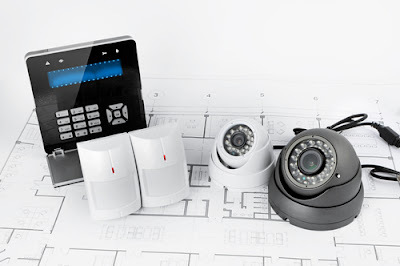 The complete range of products produced by the company include HD analog cameras, smart IP cameras, NVRs, speed domes, video management software, DVRs, encoders, decoders and alarm and access control systems and various other sophisticated parts of security networks since its inception. The products manufactured by Hikvision are used in wide range of markets including banking and finance, retail, education, transportation, government, residential and commercial units for the sake of their security and protection from unwanted intruders. Hikvision, being an active participant in the market of surveillance products since its inception in 2001, is spending almost 8% of its annual revenue on the R&D to continue to produce innovative products for improving the security of its customers all over the world. The company is serving its global customers through its regional offices at almost 20 locations in the world. Why Hikvision is a trusted CCTV brand in Singapore? Hikvision is considered as a trusted CCTV brand in Singapore because of the benefits its CCTV and video surveillance products have provided to its customers throughout the world. If you are running a company with large numbers of employees or a small business unit it is necessary to install the best and reliable surveillance system to ensure the safety and security of your staff as well as your business. By using a good CCTV security system you reduce the chances of entering of the criminals and burglars into your office or business environment in Singapore. 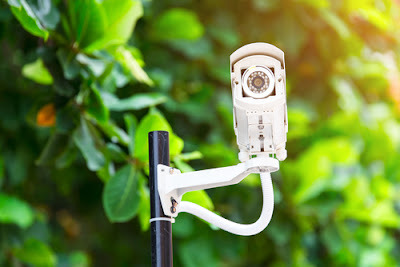 The installation of CCTV cameras manufactured by reputed company like Hikvision can provide you the benefits briefly discussed here under. Mandatory for the security of the business: Today the installation of CCTV cameras at business establishments in Singapore like casinos, banks, factories and warehouses is considered as mandatory due to increasing incidents of theft and other criminal activities. The use of surveillance products manufactured by a trusted brand increase the feeling of security among the users due to excellent and assured quality of their products. You can use them not only to monitor the security of your front desk and stores but also the activities of your workers within your business premises. Management of complete security system: You can easily manage the security system of your complete business unit by installing CCTV cameras of good brand. They can provide a complete security management system at various types of business places in Singapore including owners of large properties, offices of federal governments, operations of transit systems and jurisdiction of transit systems etc. Reliable evidence: The information provided by CCTV surveillance products is considered as reliable evidence in case of any mishap. Not only the opportunistic thieves but the people who plan carefully before striking a deal at right time also leave behind some clues and evidences which can help in tracing them. The high definition recordings done by these CCTV cameras can help in searching the thieves, even if they are not caught red-handed. The thieves can be recognised by reproducing the recordings of CCTV surveillance system by slowing and zooming their reproduction. Ensure your constant presence at your business: The information captured by the CCTV cameras in your business premises will help in ensuring its safety even if you are away from your business, on holiday or sleeping at your home. You will get information about the intruders as if you were always present there. Easy surveillance of the areas difficult to be viewed otherwise: You can keep a vigilant eye at difficult locations of your home or business just by installing a CCTV camera at the back of your room. Moreover your CCTV camera will provide you peace of mind as you can also view its footage on your internet without visiting the place in person. All the benefits of CCTV surveillance system, manufactured by reputed company, discussed in this write-up ensure that you can easily improve the security and safety of your business as well as home even if you are not present there. The CCTV surveillance products manufactured by Hikvision also promise to provide these benefits to their customers not only in Singapore but anywhere in the world. Recently, a subsidiary of Hikvision Digital Technology, the world leader in manufacturing and supplying innovative CCTV and video surveillance products and solutions, Hikvision Singapore, has been awarded with Golden Award of 2015, one of the prestigious awards offered by One Asia Awards. The Company got this award as recognition of outstanding sales of the company’s CCTV surveillance systems along with other products in the Asian market. The strategy of localization and the customer support provided to the regional customers by the Singapore office of the Hikvision has received positive reviews from the judges of One Asia Awards. Thus, on the basis of the information provided in this write-up, it can be said easily that Hikvision is a good CCTV brand not only in Singapore but all over the world.